Juniors between the ages of 12 - 19 are eligible to receive a season pass for only $110 + tx. All junior members are expected to behave in a courteous manner at all times. Abusive or foul language, club throwing, shouting etc. will not be tolerated. Any junior members observed not replacing their divots or repairing their ball marks will be issued a warning, and a repeat offence could result in a temporary suspension from play. Weekends / Holidays Juniors are allowed after 11:00 until closing. Monday Juniors are allowed before 2:00 or after 2:00 with parent. Tuesday Juniors may play between 1:00 & 3:30 at the pro's discretion. Wednesday Juniors alre allowed before 2:00 or after 2:00 with parent. Friday Juniors alre allowed before 2:00 or after 2:00 with parent. The above playing times may be modified at the Golf Pro's discretion, based on weather and or golf traffic. 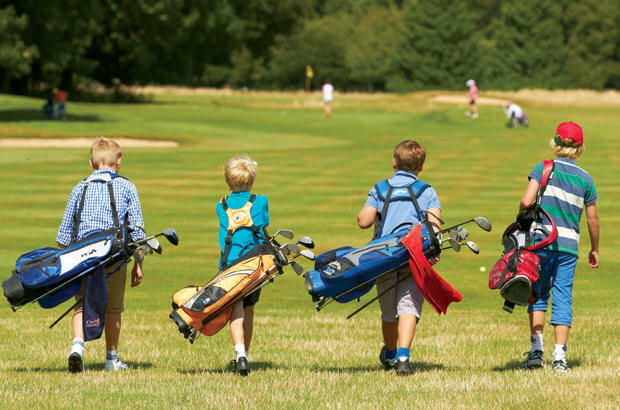 During school months juniors may be permitted on the course without parent before 3:30 & after 5:00 pm on Monday, Wednesday and Friday if course conditions permit. 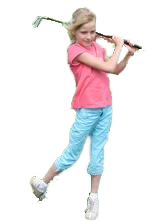 Junior golf lessons for the 12 and under age group will be held each Friday from 9:30 until 11:00. The kids will spend each session on the practice area and receive instruction for all aspects of the game during the course of the program. We incorporate fun games for prizes and water balloons each week to help keep your child entertained as they learn the skills on how to play the game.The cost is only $40 for the program for the 12 & under age group. The program starts on Friday, June 14th and ends on Friday, July 19th. July 26th will be reserved as a rain date. Parents are also encouraged to sign your youngster up for the Hibbing Junior Tournament to be held on August 2nd. Mesaba CC will be hosting a 9 hole junior league each Wednesday this summer. The league will begin on Wednesday, June 12th and end on Wednesday, July 31st. The kids will start each Wednesday beginning at 12:30. Kids between the ages of 12 and 18 are eligible to play. The cost to join the league is $15, which will be given back to the kids in prizes. 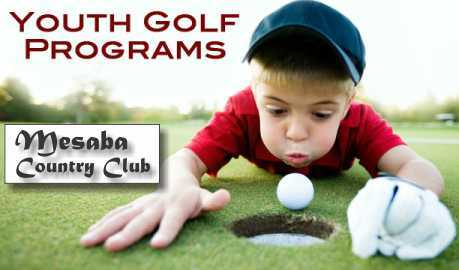 Kids may either purchase a season golf pass for only $110 for the year or pay a half price guest fee of $10, for each Wednesday that they choose to participate. Register in the pro shop or call 263-4826. 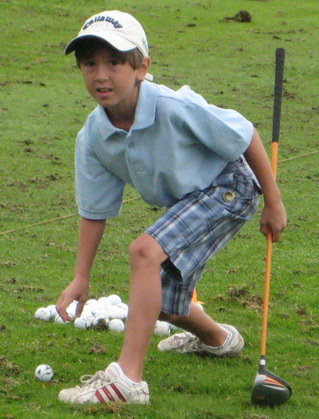 PGA Golf Professional, Gary Yeager offers discounted lessons for juniors golfers ages 18 & under. Choose between private sessions or put a group of your friends together for a an even better discounted group rate. $25 $20 ea. $16 ea. $13 ea. $60 $45 ea. $40 ea. $35 ea. $100 $75 ea. $65 ea. $55 ea. Click here to view the tournament flyer.